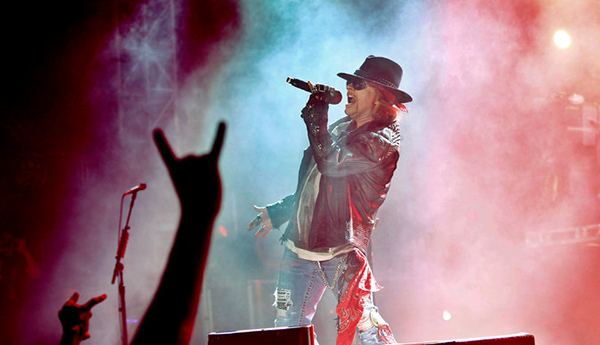 When Axl Rose ended a 23-year feud with his former Guns N’ Roses bandmates, Duff McKagan and Slash, and agreed to reunite with them onstage in 2016, the band unveiled its North American tour in an unusual way. There were no news conferences, talk-show chats or photo ops. Instead, flashy electronic billboards featuring the band’s logo and famous song titles began popping up in major cities across the country. The ads created buzz on social media, with fans posting photos of the billboards on Facebook, Twitter and elsewhere, and ticket sales for the band’s shows took off. “It’s what we call a reveal, where you give hints that start to build excitement and questions, and with social media, these things have a tendency to catch fire,” said Scott Wells, chief executive of Clear Channel Outdoor Americas, which handled some of the band’s billboard campaign. The billboard strategy seems almost retro at a time when much of the marketing world is focused on mobile devices and social media. But Guns N’ Roses isn’t alone. The Rolling Stones used a similar billboard approach to tease fans before the band’s 2015 summer tour. Indeed, billboard companies are not only surviving — they’re flourishing. Spending on so-called out-of-home advertising, which includes stand-alone billboards, ads on various modes of transit and airport ads, has risen for 24 consecutive quarters, according to Kantar Media and the Outdoor Advertising Association of America. Spending surged to $7.3 billion in 2015 from $5.9 billion in 2009. In 2015, spending on out-of-home ads in the United States rose 4.6 percent from 2014, while spending on TV ads fell 3.6 percent, radio ads declined 2.5 percent, newspaper ads slipped 12.8 percent and magazine ads dropped 12.7 percent, according to Magna Global. Spending on digital ads, however, rose 20 percent. “Digital has been sucking media dollars out of press and radio, but our audience has been growing,” said Jeremy Male, chief executive of Outfront Media, one of the biggest players in the billboard industry. 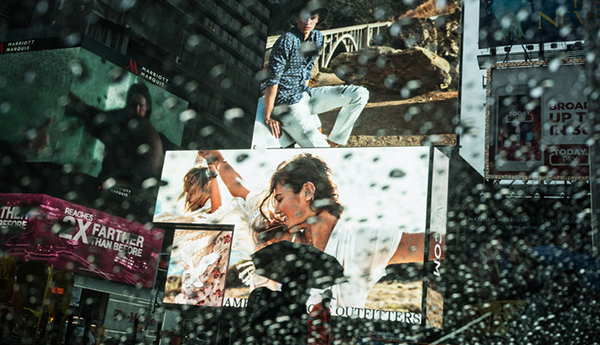 Of course, many of the billboard ads they are producing have moved beyond the old model, where static photos with simple captions stare back from a roadside perch. Now electronic billboards are everywhere: along highways, on the side of buildings, outside bus shelters, on public benches, and in airports, elevators, subways and malls. Many are digitized, able to show videos, stream live events, display content from social media or change a screen’s image every 30 seconds. “We allow our customers to change their message instantaneously right from their desktop,” said Sean Reilly, chief executive of Lamar Advertising, another prominent billboard company. Some billboard displays are interactive, containing sensors and codes that people can scan with their smartphones to take them to a specific destination online. “While the digital age has to some extent been a threat to some traditional media, we’ve really embraced it,” Mr. Male said. For national brands, billboards are an easy and inexpensive way to grab eyeballs of all ages and demographics with a single ad. Even tech companies are taking their ads outdoors. When Foursquare’s Swarm app found that young New Yorkers tended to congregate and take pictures in Madison Square Park, the company chose to advertise on a billboard on the side of the nearby Flatiron Building, knowing it would show up in photos that were later shared on social media, said Kinjil Mathur, chief marketing officer at Foursquare. But improved data analysis is crucial to the field’s growth. “Advertisers want to be able to measure who is seeing their ads,” said Brett Harriss, an analyst at Gabelli & Company. Mr. Wells of Clear Channel defends the program. “The data is anonymous and aggregated — we’re not looking at individuals,” he said. Still, any government intervention could stymie the field’s growth. However, Mr. Reilly remains bullish on the industry’s future. Lamar Advertising Company (Nasdaq: LAMR), a leading owner and operator of outdoor advertising and logo sign displays, announces the Company’s operating results for the second quarter ended June 30, 2016.